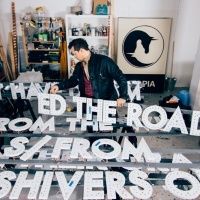 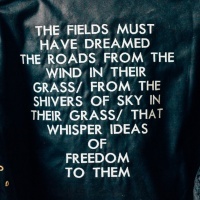 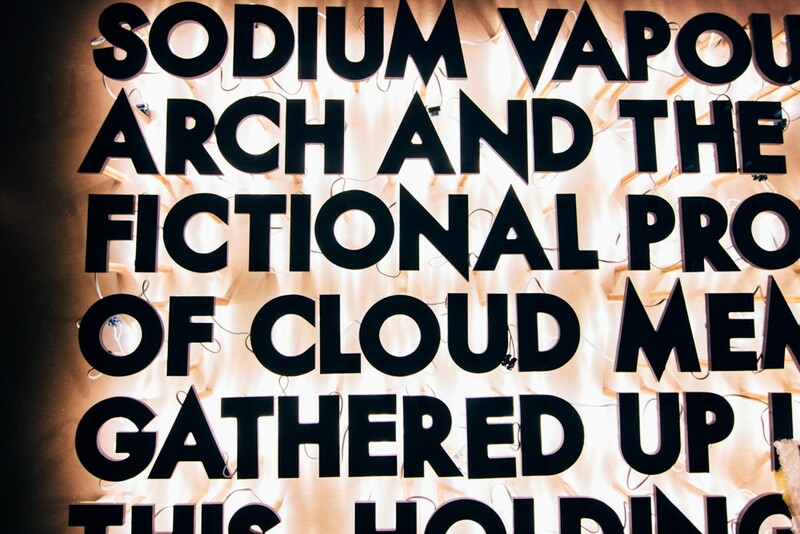 Scottish artist Robert Montgomery is best known for presenting poetry in large-scale installations. 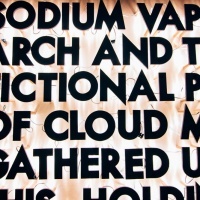 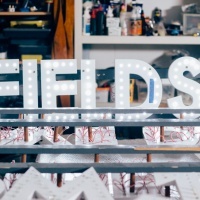 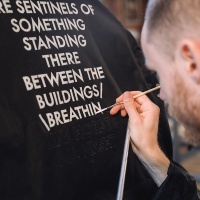 He has created a ‘fire poem’ for Edinburgh Art Festival (letters were crafted from oak and set alight) as well as light poems for De La Warr Pavillion and an airport in Berlin. 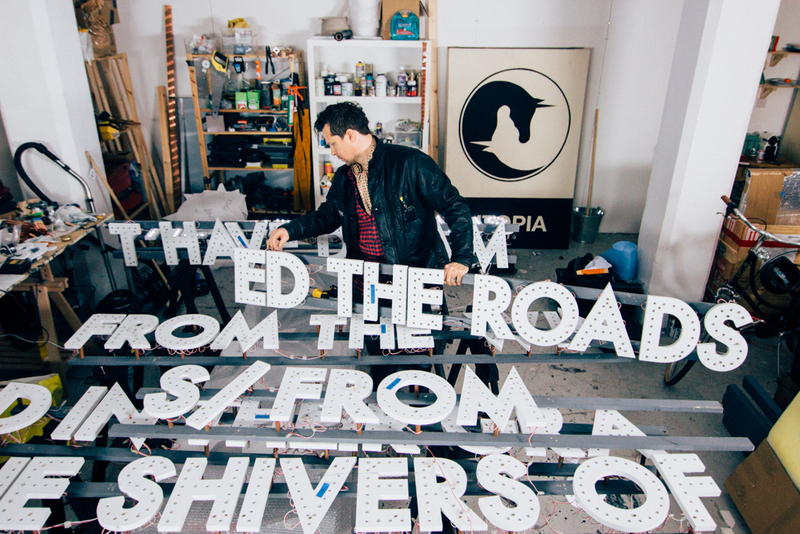 He is also known for covering advertising billboards with thought-provoking verse. 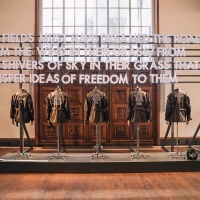 Barbour brand Barbour International recently commissioned Montgomery to create a light poem for its debut presentation at London Fashion Week Mens, which took place at RIBA last weekend. 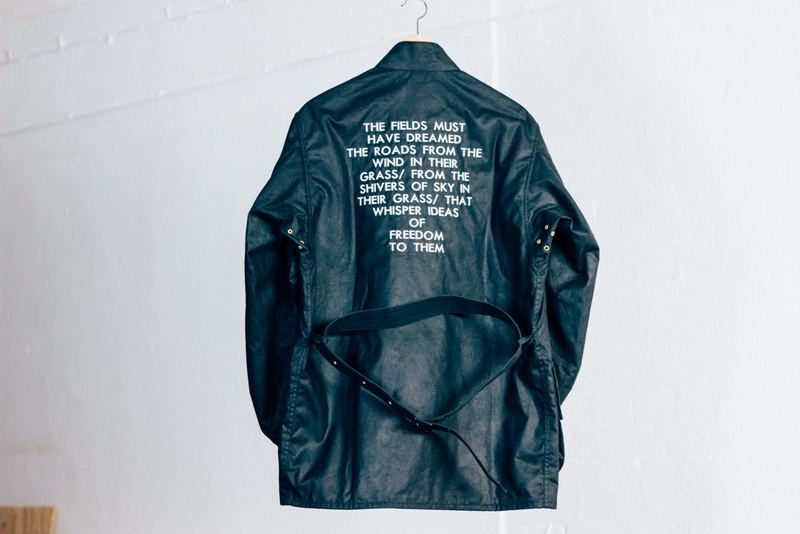 Montgomery’s sculpture formed the backdrop to the show and is also featured on a limited edition run of the brand’s A7 jacket. 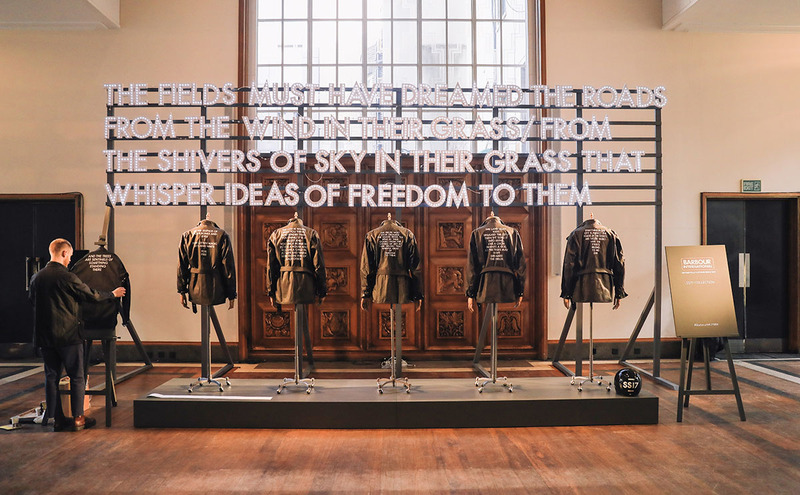 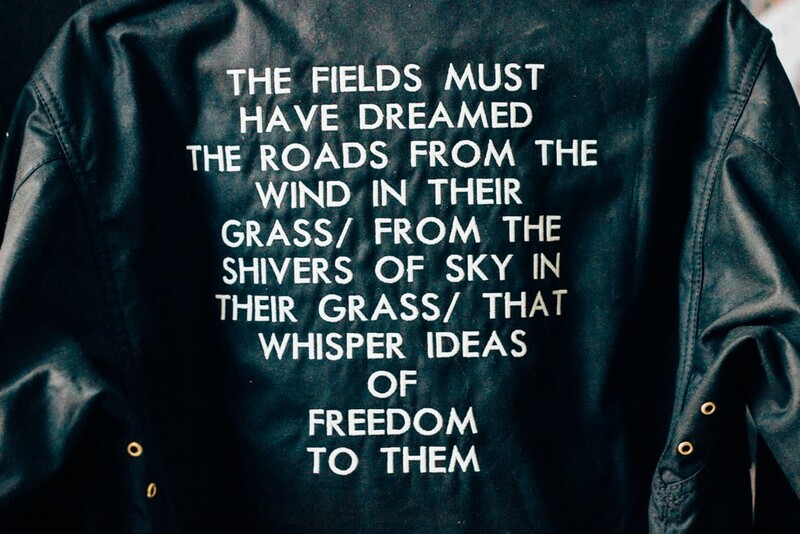 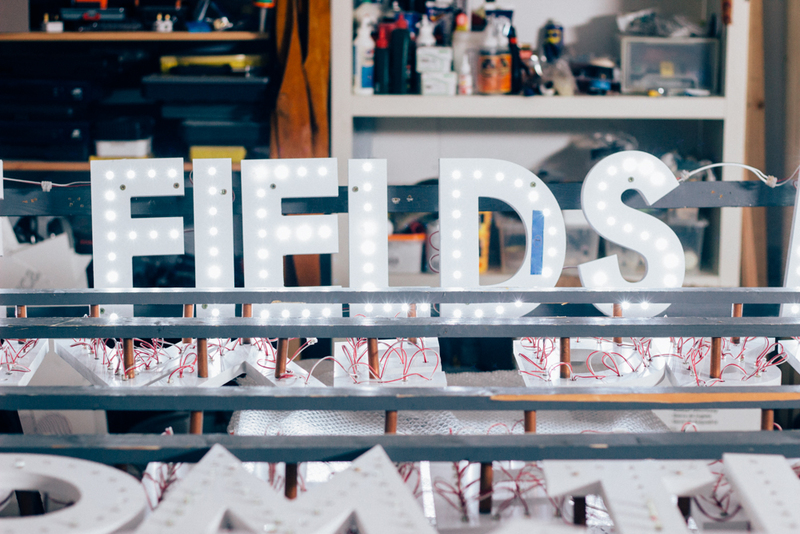 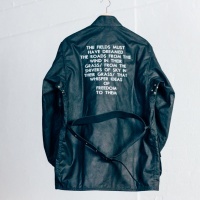 Jackets were sold at Selfridges after the event and letters were sewn on to the fabric using luminous thread. 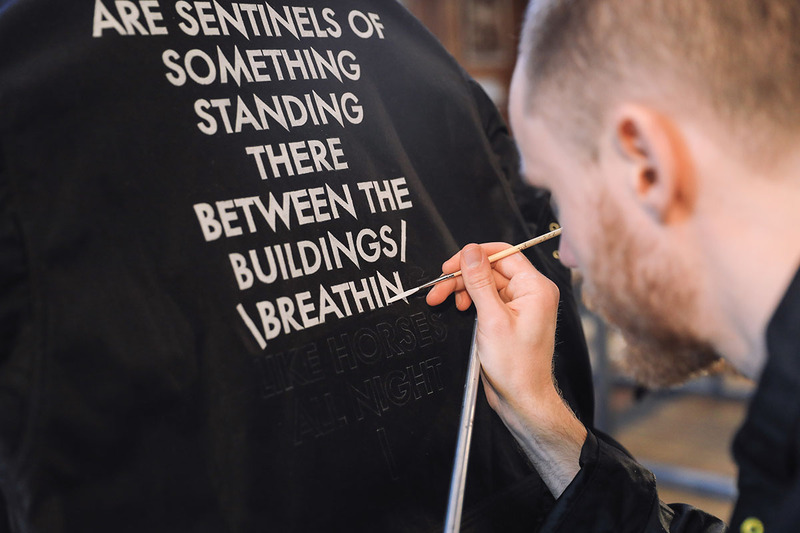 Hand-painted versions (painted during the show) were given away via the brand’s Snapchat channel, @barbourint.